Coming to grips with what the 2016 election means many things, especially for those of us who are hoping to find in Trump’s victory a wake-up call to think again, and better, about how to commit to and build up communities and connections which will strengthen our ability to govern ourselves in our respective places. But surely one of the most important is articulating, to ourselves and to our fellow citizens, just what we mean by “our places.” This was an election that was won, after all, because the set up of the Electoral College enabled a small plurality of voters in a few states to shape the overall outcome, and those voters, whatever else may have or have not happened, were apparently moved to a significant degree by Trump’s promise to “make America great again.” But of course, depending on who you are (white or black, straight or gay, Christian or secular, poor or wealthy, immigrant or native born), that promise may well make no sense whatsoever–because for many residents of the United States, going back to whatever hypothetical point in time may or may not have been in minds of that plurality of voters would be anything but making America “great”; on the contrary, it would be, within their world of experience, making America worse. Now America’s a big place, with hundreds of millions of people; thus, it might seem reasonable to expect, when confronted with such a plurality of perspectives on what constitutes greatness and what doesn’t, for politicians attempting to build a winning national electoral coalition to develop a moral argument, a claim about a unified (or unifying) virtuous path, an insistence upon a truly common good. But that, of course, would be giving American voters–and the very idea of deliberative democracy–way too much credit. Trump certainly didn’t do anything like that. (Neither, for that matter, did Hillary Clinton, at least not consistently. The only presidential candidate who actually did regularly speak in comprehensive moral terms, Bernie Sanders, failed–partly due to the opposition of the Democratic party establishment, for certain, but also due to the plain fact that his message, in the restricted context of the Democratic party’s caucuses and primaries, simply wasn’t persuasive enough to key parts of that electorate.) 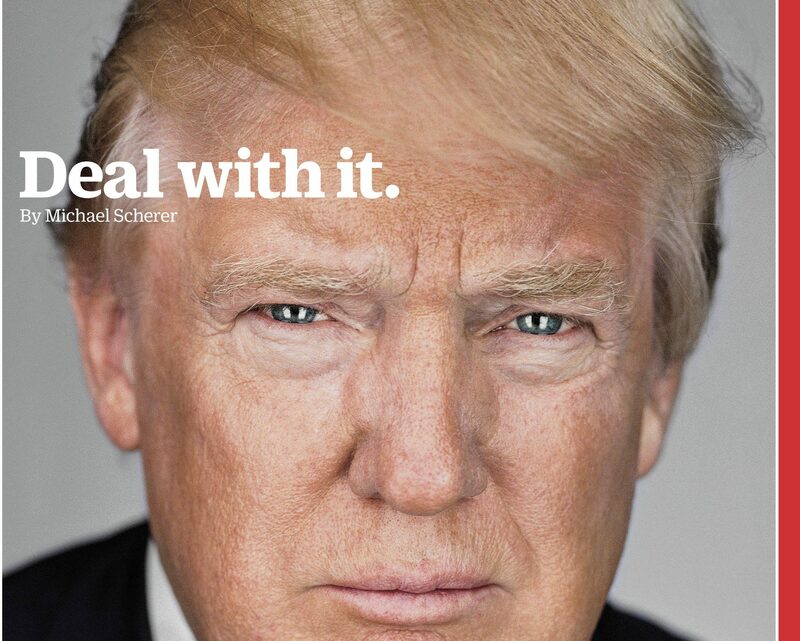 Instead, his strategy was, to borrow from a fine but flawed book by Jan-Werner Müller, What is Populism?, Trump engaged in a “moralist imagination of politics, a way of perceiving the political world that sets a morally pure and fully unified–but ultimately fictional–people against elites…. 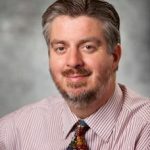 [C]onsider a remark by Donald Trump that went virtually unnoticed….At a campaign rally in May, Trump announced that ‘the only important thing is the unification of the people–because the other people don’t mean anything‘” (What is Populism, pp. 19, 22, italics added). Trump, to his credit, knew where his people, his voters, were placed, and he did a superb job promising greatness to them…but perhaps not to any other people or any other places, anywhere else. 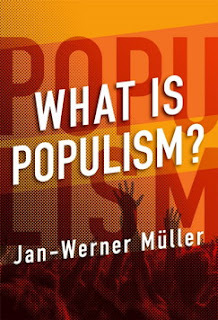 I call Müller’s book fine but flawed because, while it really is an excellent, thoughtful, and incisive examination of crucial political developments in America and Europe in 2016, it fails in the rather straightforward task in showing why these developments ought to be called “populist.” That they are, in common discourse anyway, recognized as “populist” is not much disputed–the number of Google hits which associate Sanders, or Trump, or Brexit with “populism” must number in the hundreds of thousands–but what that label means, and who it really applies to, and what voters and citizens (particularly those concerned about, as I said, self-governance) ought to think about it all is very much a matter of argument. Müller wants to settle those arguments, and to that end he has presented a coherent, persuasive diagnosis a development that ought to concern anyone who cares about democracy. But is that development, in fact, “populism”? Müller insists it is, but I am doubtful. In his view, populism is a “permanent shadow” which arises along with and proceeds to haunt all complex systems of representative government under capitalism, where creative destruction and its resulting economic inequalities will invariably entrench divisions between socio-economic groups. It is not merely anti-elitist, but authoritarian and anti-pluralist, a demagogic insistence that there is an unrepresented and alienated part of population that possesses a moral authenticity which all other parts of the electorate lack, thus justifying the construction of clientelist movements and parties to reward “the people” with what is supposedly properly their own, through the top-down transformation of governing institutions so to better respond to their particular demands and sideline as inauthentic or unconstitutional or immoral the demands of all other groups. Müller further insists that this act of moralistic imagination does not arise from any kind of popular articulation or civic participation: “the populist…can divine the proper will of the people on the basis of what it means, for instance, to be a ‘real American.’ More Volksgeist, if you like, than volonté générale–a conception of democracy in which ‘substance,’ ‘spirit,’ or, put more straightforwardly, ‘true identity’ decides, and not the larger number” (p. 29). [T]he debate about liberal constitutionalism and populism suffers from several unfortunate characteristics. First, the discussion often becomes conflated with the controversy about the merits of majoritarianism (and, conversely, judicial review). Second, there is no clear of even discernible distinction between popular constitutionalism on the one hand and populist constitutionalism on the others. And third and most important, “populism” serves as a very imprecise placeholder for “civic participation” or “social mobilization” (and, conversely, weakening the power of judges and other elites). Quite apart from the vagueness of the notions used (or perhaps because of this vagueness), there’s the additional fact that debates about populism and constitutionalism–especially in the United States–quickly turn emotional, with accusations of elitism or “demophobia” flying about and theorists accused of having bad “attitudes toward the political energy of ordinary people” or of promoting “ochlocracy” (p. 61). Müller doesn’t like things turning emotional; he wants to clinically diagnose populism, and show why it’s a threat to democracy. But he’s also a man with strong egalitarian (if not necessarily anti-capitalist) sympathies, and thus he is always at pains to show that he actually doesn’t have any hostility to people democratically organizing around the idea that their class, their community, their way of life is being oppressed, and that they deserve leaders and policies that actually share in their wishes and experiences. So for Müller, folks like Bernie Sanders who really did speak moralistically about how the “billionaire class” was undermining hopes and dreams of “hard-working Americans” aren’t actually populists, because they are wise enough to never make the “moral claim” that “they and only they represent the true people” (pp. 40, 93). By the same token, other advocates of challenging entrenched economic elites and special interests on behalf of sharing the wealth with the downtrodden masses were not populists–or at least, the ones Müller is politically sympathetic to weren’t. Populists engage in “an aesthetic production of ‘proximity to the people'” (p. 43)–so do President Roosevelt’s contrived (but effective!) “fireside chats” count? Apparently not (though he does eventually grudgingly admit that the New Deal was perhaps “a form of ‘neo-Populism'”–p. 91). In fact, not even the Populists of American history–the original People’s Party–count as real populists in Müller’s view. Yes, they claimed to speak on behalf of “the plain people” which they saw as the class of people from which the American republic originated, but they never “claimed to be the people as such” (p. 90) their moralistic self-presentation was never exclusionary or xenophobic in real populist fashion. So who, actually, counts as a “real” populist in American history? Well, Joseph McCarthy. George Wallace. The Obama-era Tea Party. And, of course, Donald Trump. But as I also argued then, “terms have their own history,” and the history of populism as a movement in American history revolved around a producerist vision of economic sovereignty that incorporated communitarian and egalitarian concerns in equal measure. That’s a vision which Müller gives little credence too (p. 23), but which localists trying to build sustainable economic connections between communities, so as to enable them to govern themselves democratically in the absence of reliance upon often dysfunctional or easily co-opted national or global systems. The power that populist rhetoric has to follow through on Ernesto LacLau’s insistence that “constructing a people is the main task of radical politics” is something which Müller acknowledges, but thinks is too dangerous to make use of; to his mind, renegotiations of the social contract is to be preferred to anything potentially transformative, since “a claim [by populists that] ‘we and only we represent the people’…make[s] securing the long-term stability of a polity all the more difficult” (pp. 69, 98-99). Those warnings are certainly vital to keep in mind, grounded as they are in centuries of very legitimate arguments against majoritarian tyranny. And yet, is it really the case that any democratically articulated program of transformation always depends upon a singular vision of the people, and thus an exclusionary one? By Müller’s telling, yes–but there are accounts of populism which suggest otherwise, the most obvious being the original American People’s Party which, as Müller does not deny, “united men and women, and whites and blacks to a degree that arguably none of the other major parties did at the time” (p. 90), which is, of course, one of the reasons Müller doesn’t want them to count. I would be better, I think, to focus one’s definition of populism not upon the implications of its rhetorical character, but shared substance which all populist movements are at least partly characterized by: a democratic demand, made by a particular people or profession or community or class, for economic respect, independence, and sufficiency, made under conditions of exploitation and alienation which result from the actions of elite economic interests. Such demands have a politically dangerous side to them, absolutely; anything that is informed even indirectly by Rousseau’s observations about the democratic limitations of the social contract can’t but allow for the possibility of such abuse. But to make that danger the center of one’s definition, use it thereby to stigmatize an entire category of demands, and to take successful examples of such demands and redefine them so that they do not partake of the political danger…well, the result may well make for a tight and educational book of political history and ideas. But it doesn’t, I think, get populism, and its potentially pluralist side, right. Muller is just a standard globalist bigot, defining terms to suit his bigotry. Populism has nothing to do with The People or A People or any other verbal gymnastics. Going by your description, Müller’s book seems to be much of a “Part One” to a later volume which will make explicit the equation between “populism” and “fascism” which seems to be his direction. Or perhaps I am too suspicious of “scholarship” which becomes a vehicle for propaganda. Polistra and David–I’m not as critical of Müller’s book as you two are, because I really do think it effectively diagnoses a real (and threatening) phenomenon in our present moment. But yes: he’s obviously very much committed to projects like the EU and other attempts to rationalize and “democratize” communities from above, and so finds it obvious that any demand for real particularist economic sovereignty is a potentially threat to the liberal idea, and is thus flirting with fascism. Actually, I don’t know if a “Part Two” would even be necessary; in the book, he essentially says that fascist movements of the past were types of populism (pg. 93). It’s a crude and stupid judgment to make, but he really seems unable (unwilling?) to see that American populist history includes much that is simply incompatible with what he’s describing.